Since William Shakespeare’s birthplace became a national memorial to our local lad back in 1847, huge numbers of people have visited his first home, which recently welcomed its twenty-five millionth visitor! Now owned and cared for by the Shakespeare Birthplace Trust, the house has been seen by interested parties from all over the world and from all walks of life. Back in the 1800s fellow writers such as Charles Dickens and Thomas Hardy were among those wanting to see where it all began for the Bard. An unsuspecting visitor from Sligo, Ireland had no idea what awaited her as she queued with her family for a ticket to the attraction. Alison Smith, the lucky recipient of the twenty-five millionth entry ticket, was treated to a warm welcome with her family by staff from the Trust. The family were given a very special visit, including a Lifetime Friend’s membership giving them free access to all the Shakespeare properties in the town, as well as a special performance from the Shakespeare Aloud acting company, gifts and flowers galore and to top it all off, a First Folio collectable facsimile. The Shakespeare properties still hold as much interest for the public as ever and his popularity continues to soar across the globe (no pun intended!). 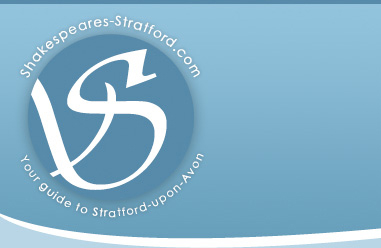 The rebuilding of the Royal Shakespeare Theatre has drawn renewed attention to the town and when it is completed we can expected a flurry of incoming visitors to see how we are continuing to pay tribute to our most famous son of Stratford.